Serato DJ Intro vs. Serato DJ Lite - What’s the difference? 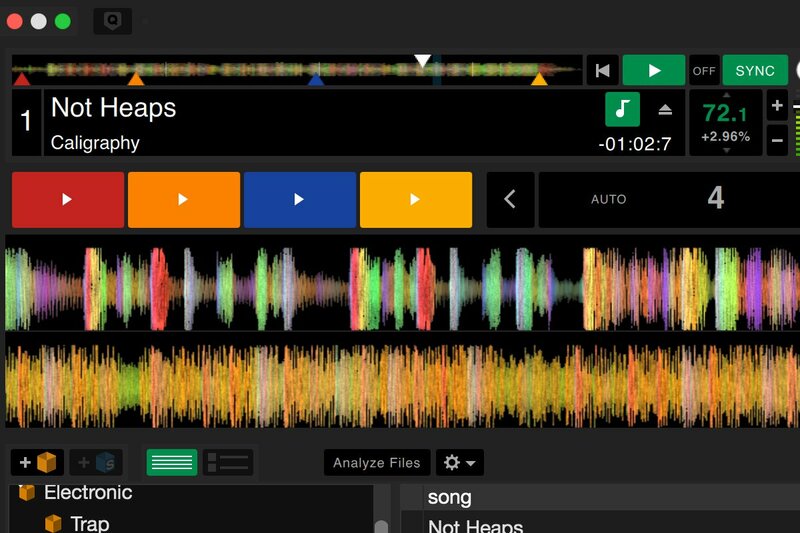 Serato DJ Intro is now Serato DJ Lite. Serato DJ Lite is 64-bit, which means performs better than ever with virtually no limit on library size. The new release debuts a new-look, rock solid stability, and more. 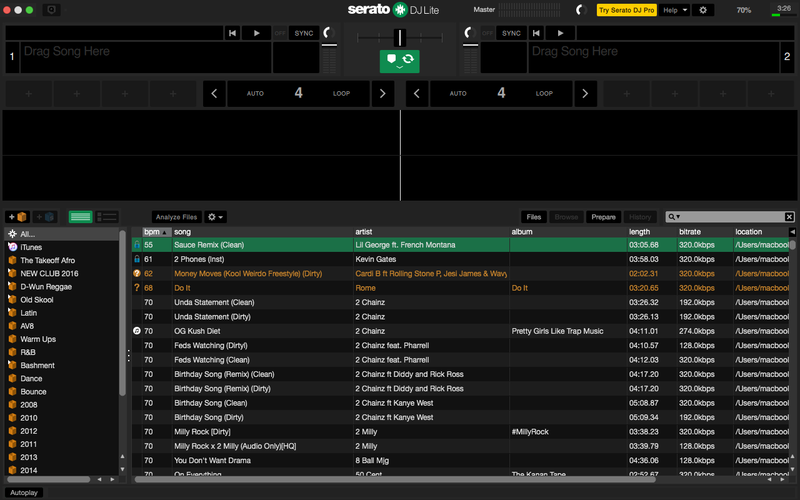 Here are the key features and differences you will notice in Serato DJ Lite. I'm still using Serato DJ Intro 1.2 with my Numark/Denon DJ/Rane DJ controller. Do I need to pay to upgrade? No, all Serato DJ Intro controllers have been carried over to Serato DJ Lite 1.3. This means that you can download and install the new Serato DJ Lite 1.3 and continue to use your current Serato DJ Intro enabled controller. See our guide here for instructions on starting a 14-day free trial of Serato DJ Pro and purchasing/activating a license. What does it mean that Serato DJ Lite is 64-bit? 64-bit support for Serato means a more stable and reliable software and more space to run even larger libraries. Do I need to update from Serato DJ Intro to Serato DJ Lite? Updating is not necessary just yet, but it is recommended for any current Serato DJ Intro users. Can I update from Serato DJ Intro to Serato DJ Pro? Yes, users can update from Serato DJ Intro or Serato DJ Lite to the full Serato DJ Pro by purchasing a license. See our guide here for instructions on starting a 14-day free trial of Serato DJ Pro and purchasing/activating a license. Will installing Serato DJ Pro overwrite Serato DJ? No, you can keep both instances of Serato DJ Intro and Serato DJ Lite on your computer, it will not affect your current library. All of your content will remain the same. The first question you may be asking after launching Serato DJ Lite may be, "Where have my DJ-FX, Sampler, and My Serato gone?" Note: Serato DJ Lite does not include a 'Record' feature. If you are interested in using this and other Pro features, you can use the 14-Day Free Trial of Serato DJ Pro, or visit www.serato.com to purchase a Serato DJ Pro license for your Serato DJ Ready Controller. Now you can display your cue points in a new, but still familiar layout that will resemble the performance pads on your Serato DJ Pro mixer or controller. Making planning and performing routines more efficient. Practice Mode will allow you to mix two tracks with no hardware connected, which is ideal for prepping gigs and testing out your blends wherever you are. Unlike Serato DJ Pro, Practice Mode will be the only available offline mode, meaning there will be no choice to go to the single-player offline mode. Practice Crossfader - Can blend audio from both decks. Track Controls - Track control area shows all panels for Cue Points and Autoloops. Volume Upfader & Input Gain Meter - Upfader controls the volume of the corresponding deck. Use the LED meter to monitor your audio signal. BPM & Pitch Slider - See the tempo of the track currently playing in beats per minute. You can also adjust the tempo by clicking and dragging the mouse up or down inside the BPM shown. The improved help section includes tooltips and shortcut keys, and now introduces tutorials. You can now also contact the Serato support team and search their knowledge base. Ability to Record - Record your mix and share your mixes with the world. 8 Cue Points - 8 Cue points and 32 Sample slots, with Sync feature available. More DJ-FX - A huge array of audio-bending effects from industry leaders iZotope. Slip Mode - Access Slip Mode and other features such as BeatJump, advanced Looper, and Slicer. Key Analysis - Make every mix harmonic with easy to use Key Analysis. For more details on updating, see our activation guide here, or visit the Serato DJ website. 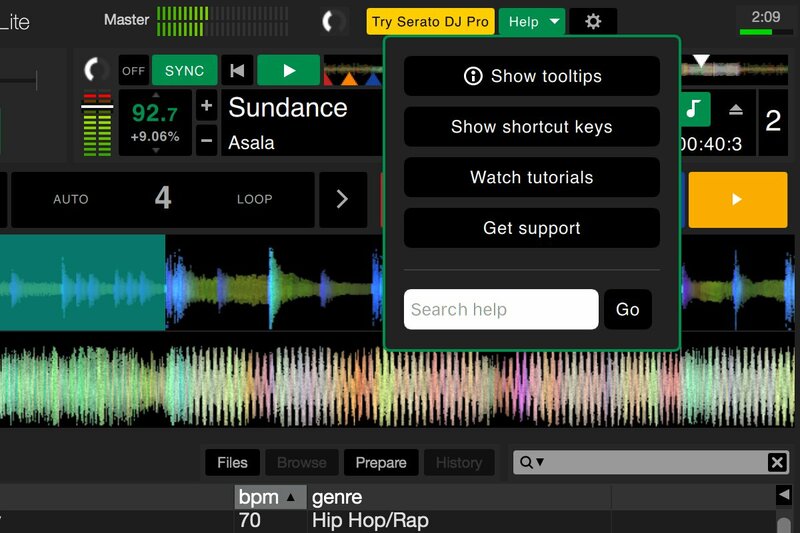 Whether you are having issues with Serato DJ Pro, or have further questions, you can reach out to Serato support below. You can also view their tutorial videos for further information.